4	stars -	"Review for Maui Fin Company HF Freeride RTM Glass Epoxy Power Box" Mark Taylor This Maui Fin Company HF Freeride RTM Glass Epoxy Power Box is the best Windsurfing Fins I have tried. MHF Ride a new freeride fin from MFC. 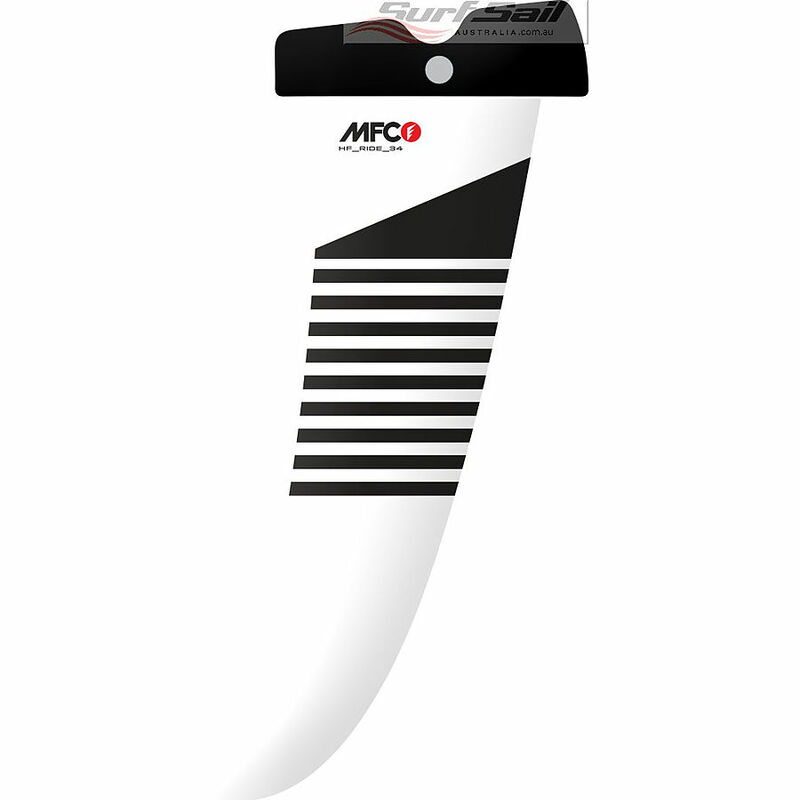 Blistering speed coupled with easy maneuverability and a comfortable ride, the MFC HF Freeride is an all-new design evolved from the development of the H1 racing fin with Kai Hopf. Featuring the same profile, the HF promises to deliver enough speed to blast by all your friends, but with a slightly more friendly rake, offers a more gentle ride for going upwind and jibing in a variety of water conditions. A graduated rake scale based on wind-range, the smaller sizes (28—42) feature a bit more rake than the larger (44—52) for optimal performance and reduce the chances of a spinout in every condition. HF_RIDE epoxy glass features an economical glass construction that still won’t compromise on overall performance. If the fin size you want is not available please contact us.